Dr. Galster provides a wealth of experience in academic, governmental, non-profit, and for-profit circles, both in the U.S. and abroad. He has held positions at the Universities of: Harvard, Cal-Berkeley, North Carolina, Amsterdam, Delft, Glasgow, Mannheim, Western Sydney and The College of Wooster. He served as Director of Housing Research at the Urban Institute in Washington, DC before coming to Wayne State University in 1996. Dr. Galster has been a consultant to the U.S. Department of Housing and Urban Development, U. S. Department of Justice, numerous municipalities, community organizations, civil rights groups, and organizations like the National Association of Realtors, American Bankers Association, and Fannie Mae. He has served on the Consumer Advisory Council of the Federal Reserve’s Board of Governors, National Academy of Science review committees, and numerous other leadership positions in community service. Public officials in Australia, Canada, China, France, Scotland, and the U.S. have sought his housing and urban policy consultations. 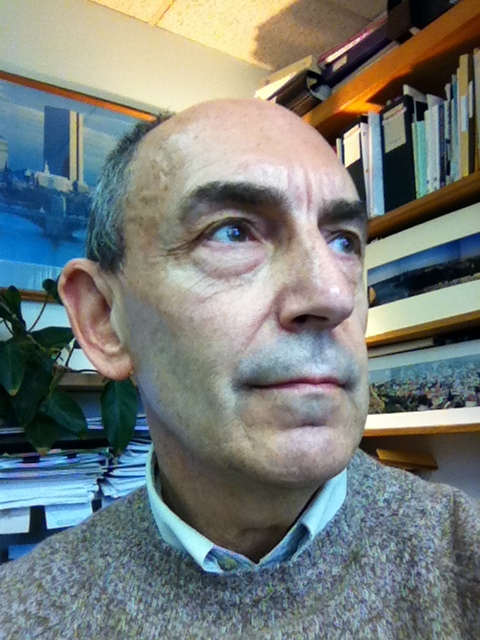 George Galster has published over 160 peer-reviewed articles and 35 book chapters on topics ranging from metropolitan housing markets, racial discrimination and segregation, neighborhood dynamics, residential reinvestment, community lending and insurance patterns, neighborhood effects, and urban poverty. His nine authored, co-authored, and edited books include Homeowners and Neighborhood Reinvestment, 1987; The Maze of Urban Housing Markets, 1991; The Metropolis in Black and White, 1992; Reality and Research: Social Science and American Urban Policy since 1960, 1996; Why NOT in My Back Yard? : The Neighborhood Impacts of Assisted Housing, 2003; Life in Poverty Neighborhoods, 2005; Frontiers of Quantifying Neighborhood Effects, 2008; Driving Detroit: The Quest for Respect in the Motor City, 2012 and Making Our Neighborhoods, Making Our Selves, forthcoming 2019. Galster, G.C. Driving Detroit: The Quest for Respect in the Motor City, Philadelphia, PA: University of Pennsylvania Press, 2012. Galster, G.C. "Residential Segregation and Interracial Economic Disparities: A Simultaneous- Equations Approach," Journal of Urban Economics 21 (No. 1, 1987): 22-44. Galster, G.C., & Killen, S.P. "The Geography of Metropolitan Opportunity: A Reconnaissance and Conceptual Framework," Housing Policy Debate 6 (No. 1, 1995): 7-44. Galster, G.C., Quercia, R.G., & Cortes, A. “Identifying Neighborhood Thresholds: An Empirical Exploration,” Housing Policy Debate 11 (No. 3, 2000): 701-732. Galster, G.C., Hanson, R., Ratcliffe, M.R., Wolman, H., Coleman, S., & Freihage, J. “Wrestling Sprawl to the Ground: Defining and Measuring an Elusive Concept,” Housing Policy Debate 12 (No. 4, 2001): 681-717. Galster, G.C. “On the Nature of Neighborhood,” Urban Studies 38 (No. 12, 2001): 2111-2124. Galster, G.C. “An Economic Efficiency Analysis of Deconcentrating Poverty Populations,” Journal of Housing Economics 11 (No. 4, 2002): 303-329. Galster, G.C., Tatian, P., & Accordino, J. “Targeting Investments for Neighborhood Revitalization,” Journal of the American Planning Association 72 (no. 4, 2006): 457-474. Galster, G.C., Andersson, R., Musterd, S., & Kauppinen, T.M. “Does Neighborhood Income Mix Affect Earnings of Adults? New Evidence from Sweden,” Journal of Urban Economics 63 (2008): 858-870. Raleigh, E., & Galster, G.C. "Neighborhood Disinvestment, Abandonment and Crime Dynamics," Journal of Urban Affairs 37 (no. 4, 2015): 367-396. Galster, G.C., Santiago, A.M., Lucero, J., & Cutsinger, J. “Adolescent Neighborhood Context and Young Adult Economic Outcomes for Low-Income African Americans and Latinos,” Journal of Economic Geography 16 (2016): 471-503. Galster, G.C., & Sharkey, P. “Spatial Foundations of Inequality: An Empirical Overview and Conceptual Model,” RSF: The Russell Sage Journal of the Social Sciences 3 (no. 2, 2017): 1-34.